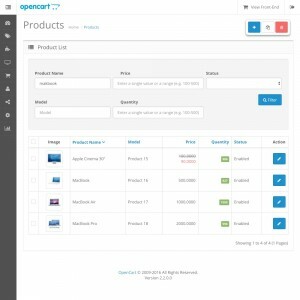 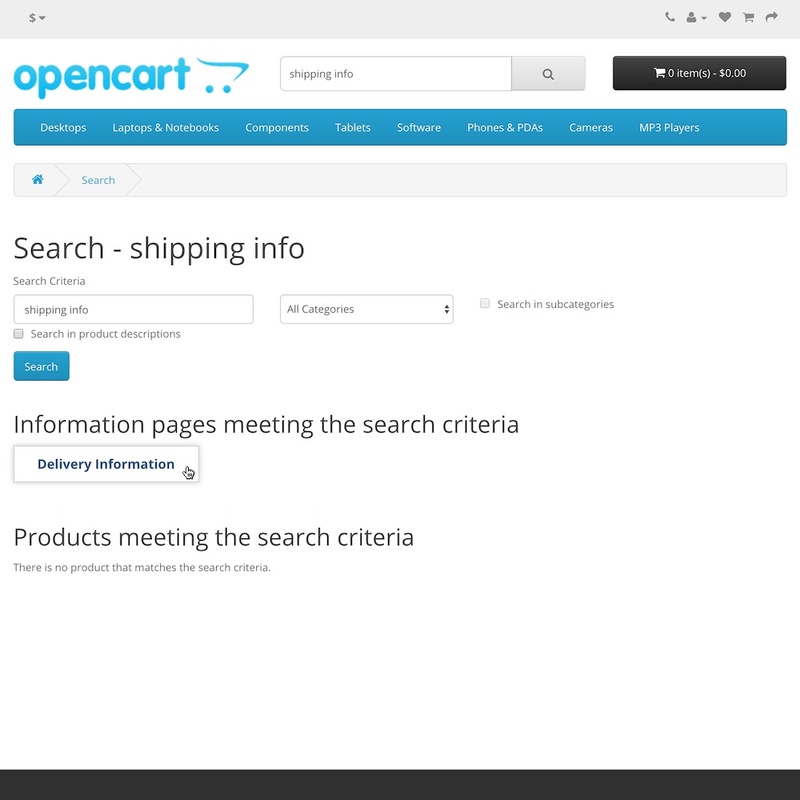 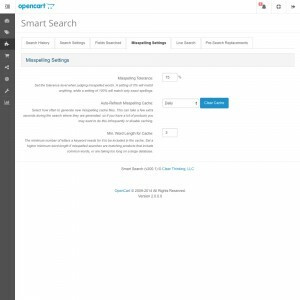 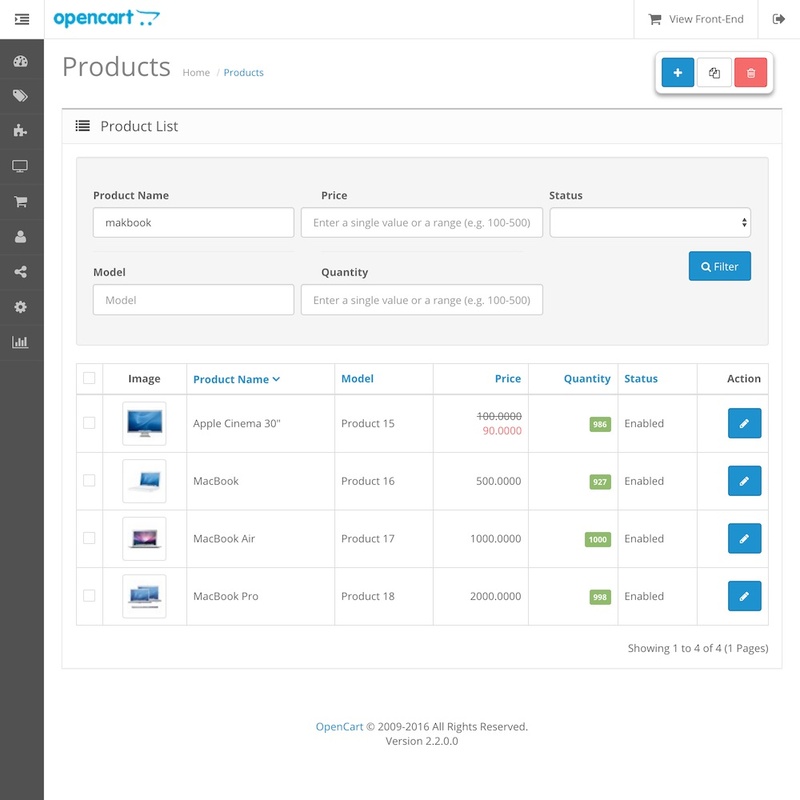 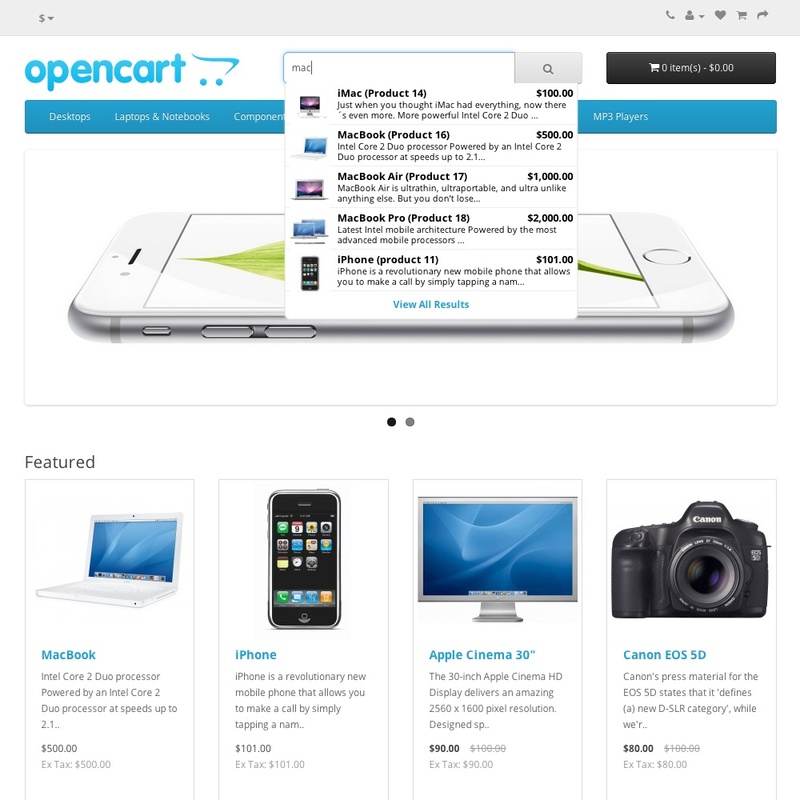 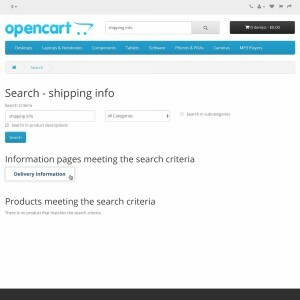 Improve the accuracy of the search on your OpenCart site! 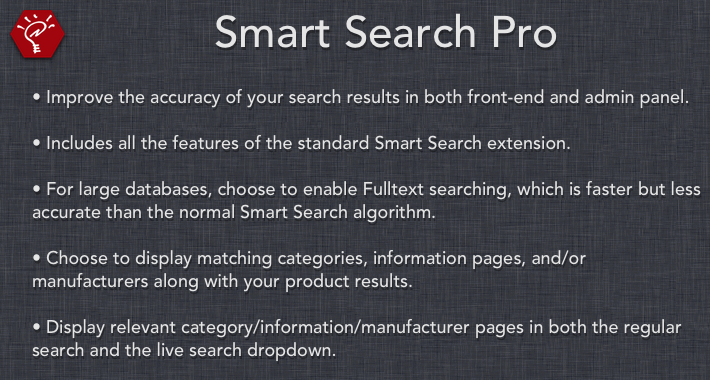 Smart Search will return the most relevant results by performing a search of the selected product fields in four phases: (1) products with the exact phrase, (2) products with ALL keywords, correctly spelled, (3) products with ALL keywords, possibly misspelled, (4) products with ANY keywords, possibly misspelled. 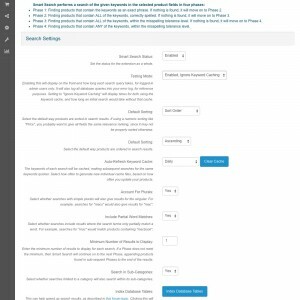 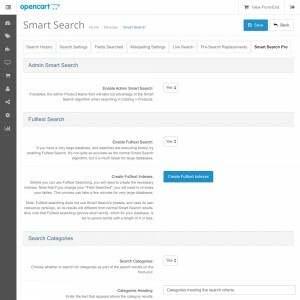 It includes advanced search configuration options, an automatic live search dropdown, recording of search history, and more. 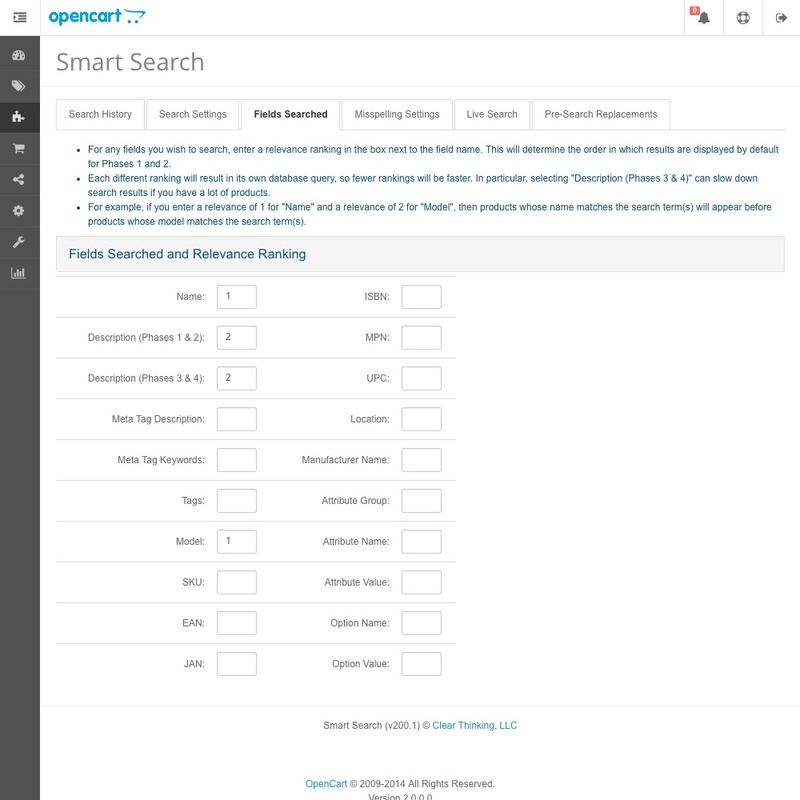 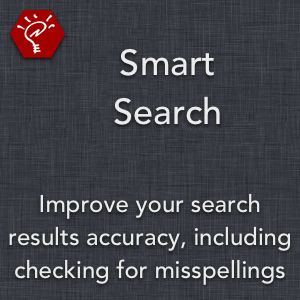 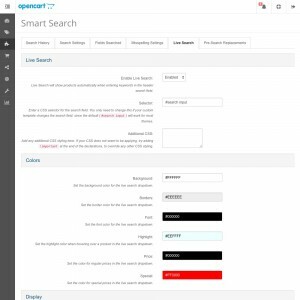 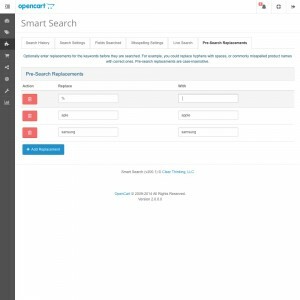 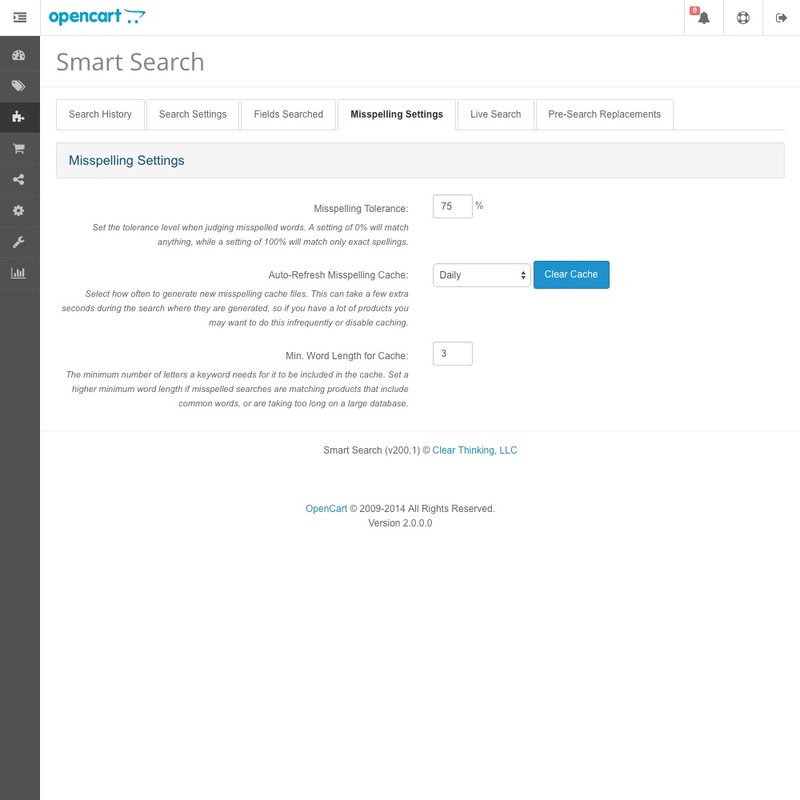 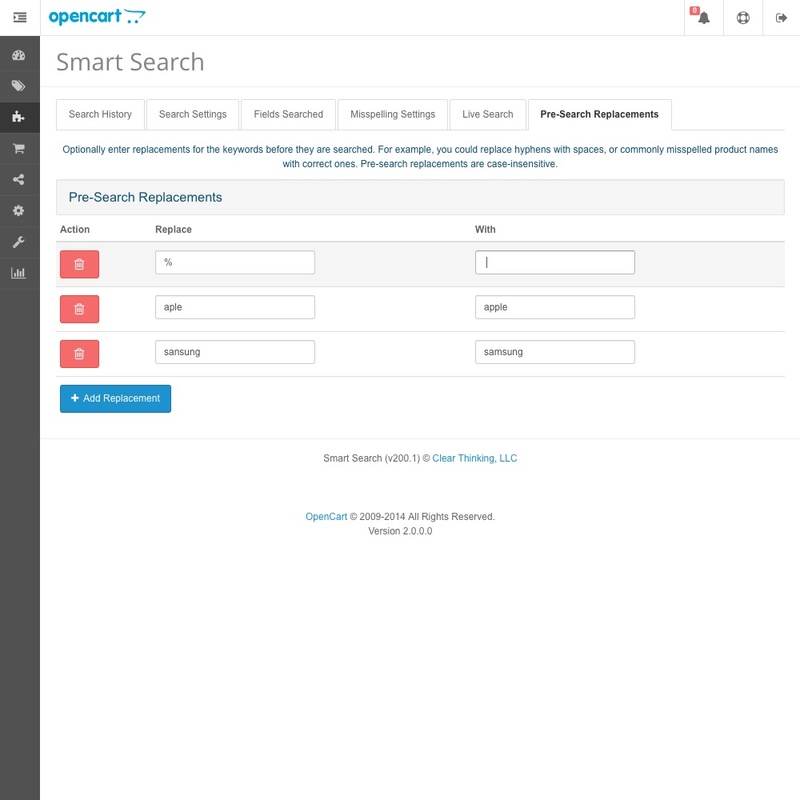 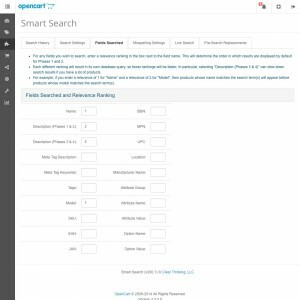 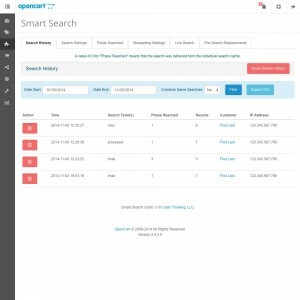 Includes all the features of the standard Smart Search extension. 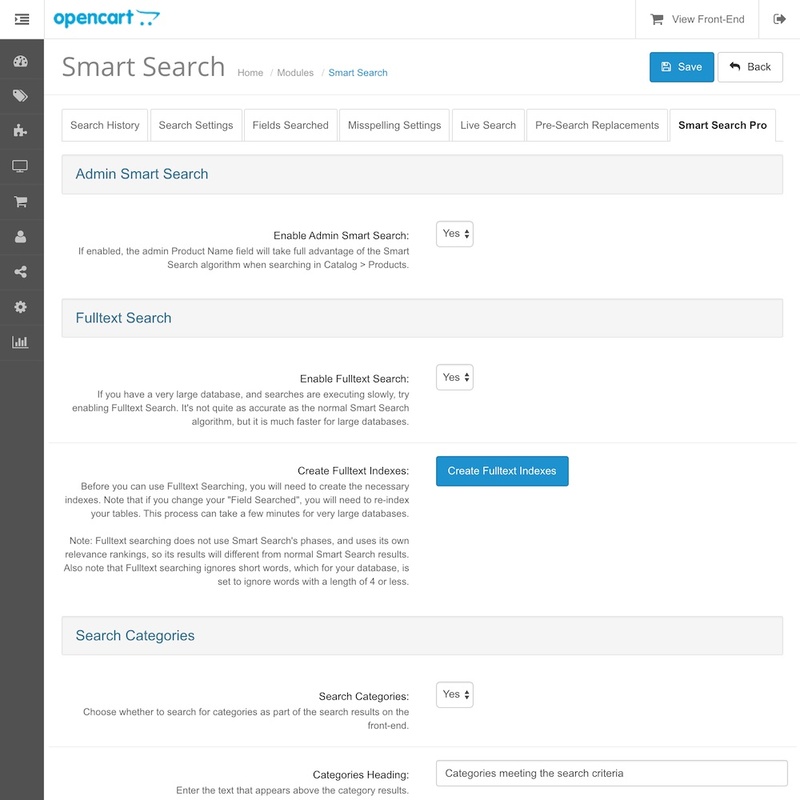 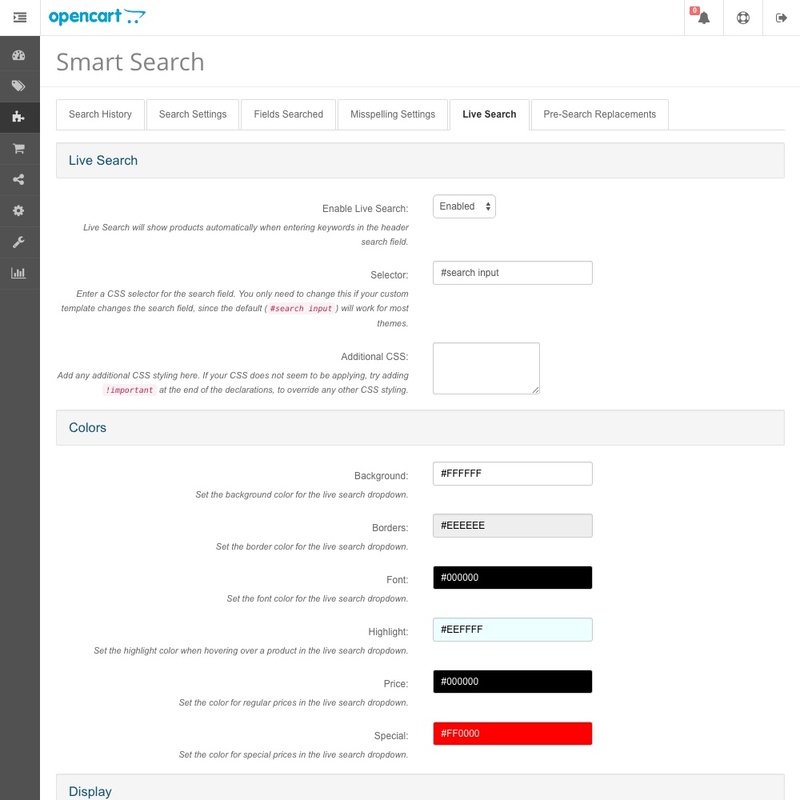 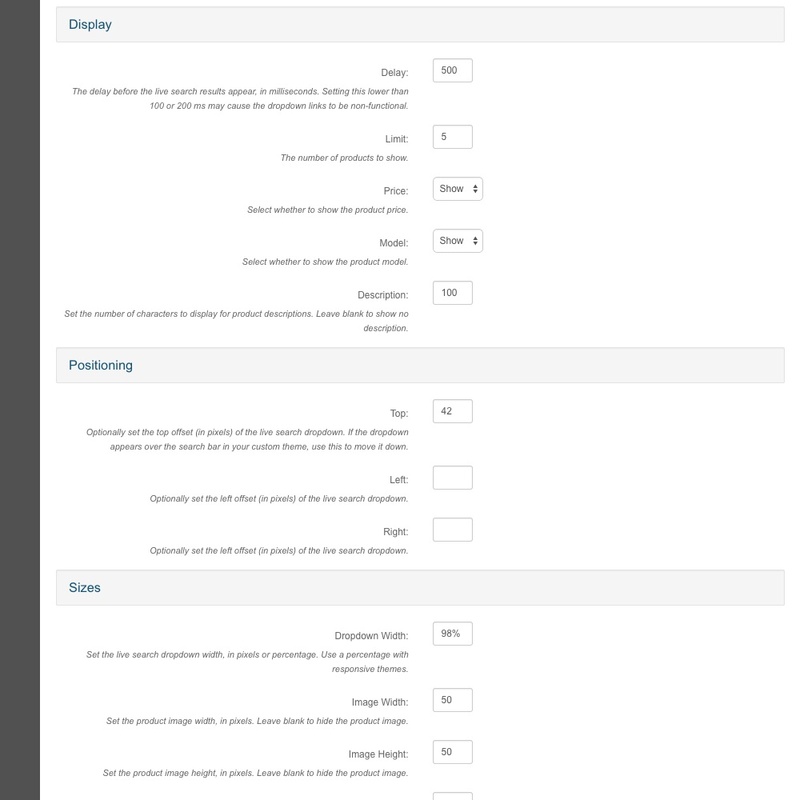 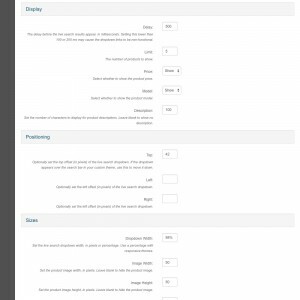 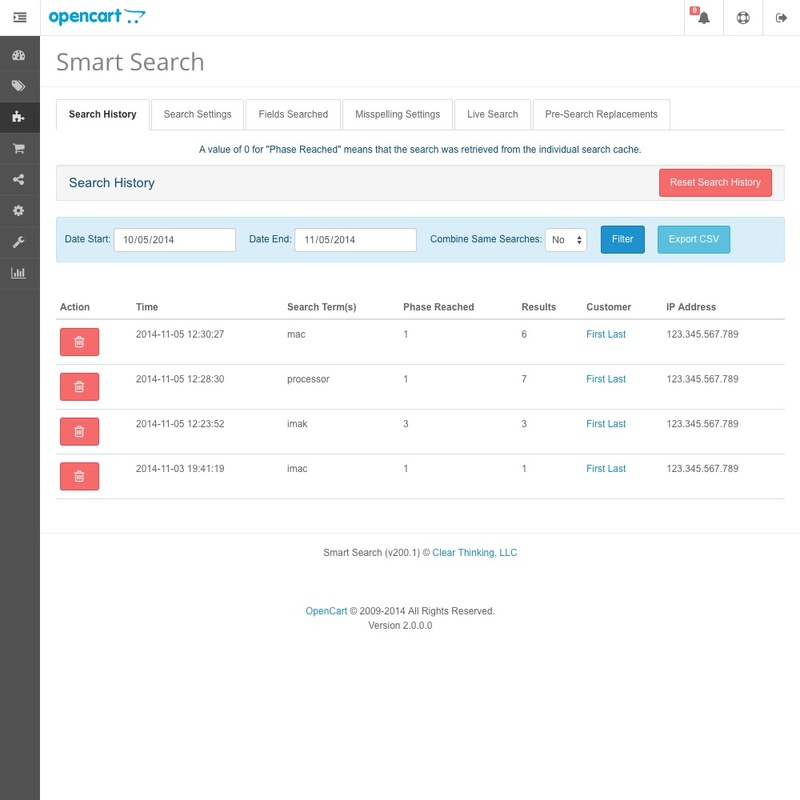 Smart Search your products in the admin panel as well as the front-end. 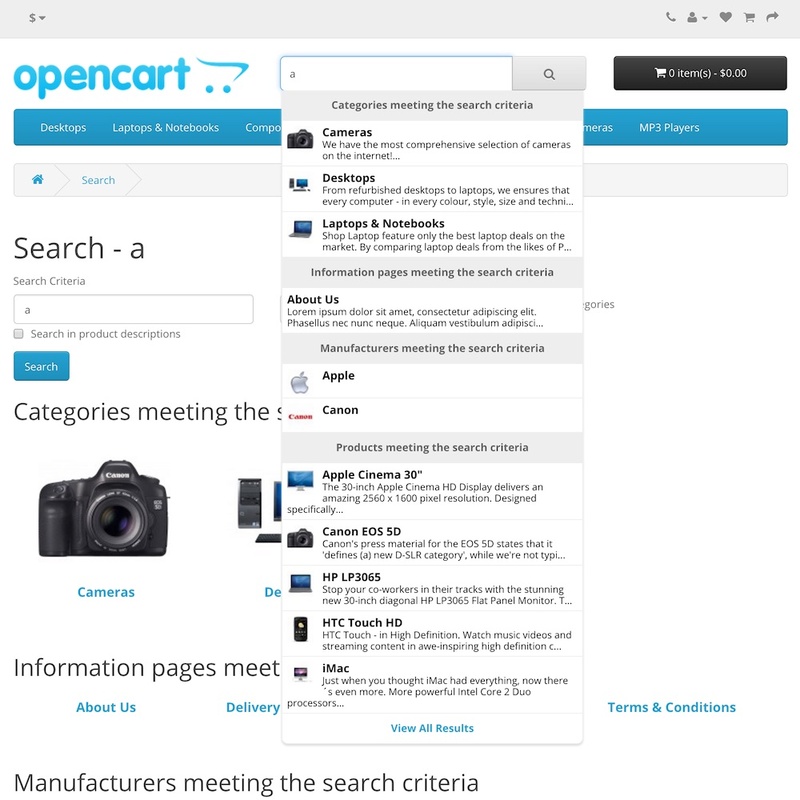 Choose to display matching categories, information pages, and/or manufacturers along with your product results. 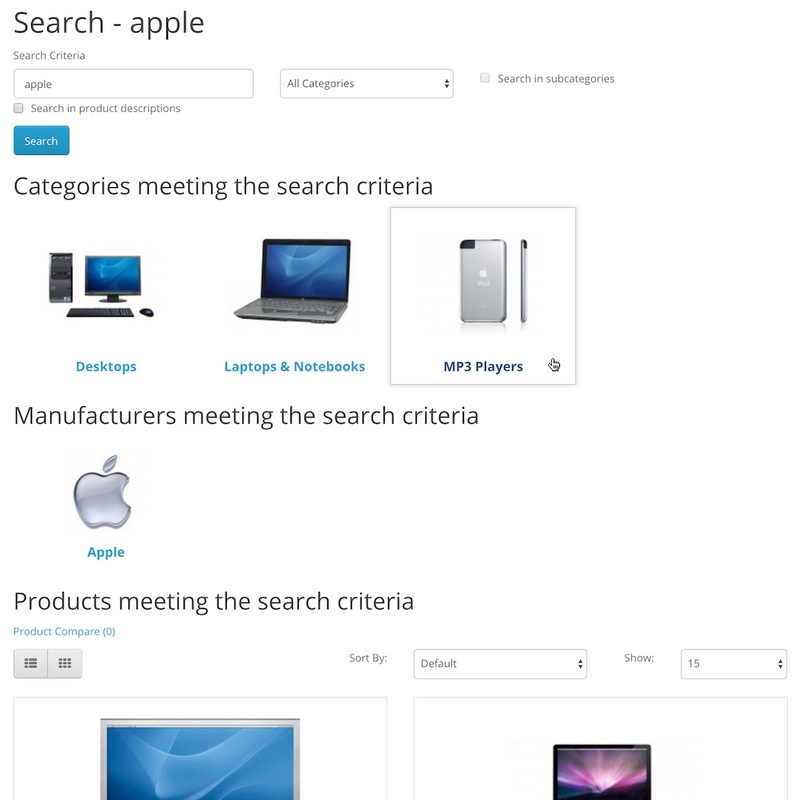 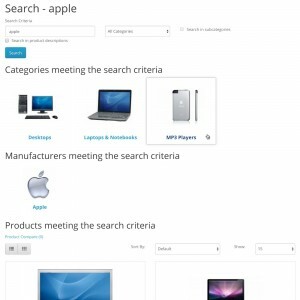 Display relevant category/information/manufacturer pages in both the regular search and live search. 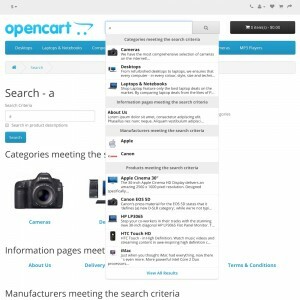 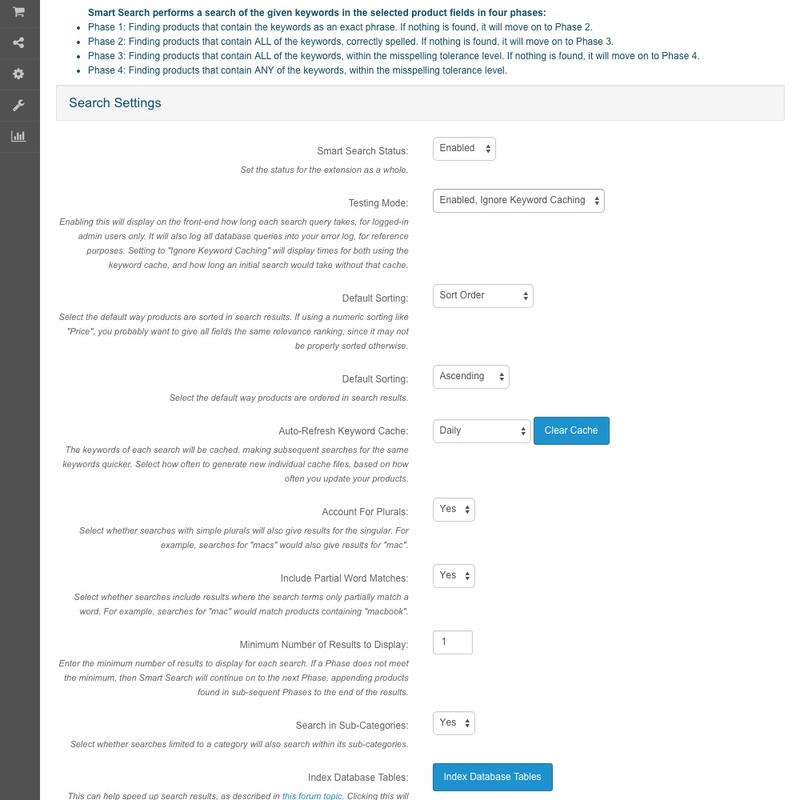 - Fixed: duplicate "Search Information Pages" text for "Search Manufacturers"